5 Boomer Trends: Where do we plan to live? A place to learn and earn, experience culture and comfort, in a foreign or familiar locale. Baby boomers, the largest generation born in U.S. history, are moving in different directions as they seek an ideal community to live in, as they grow older. College towns top many boomer lists, according to Andrew Carle, a senior housing expert and professor at George Mason University. By moving close to a university, Carle said, seniors are primed to get what studies show they want: “They want active, they want intellectually stimulating, and they want intergenerational retirement environments,” Carle told the PBS Newshour. 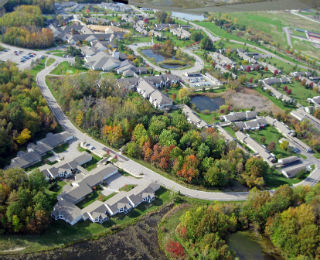 Carle coined the phrase “university-based retirement communities” and came up with five criteria for an ideal one: located within about a mile of the campus, a formalized program with the university, full continuum of care, strong alumni base, and some financial relationship with the university. 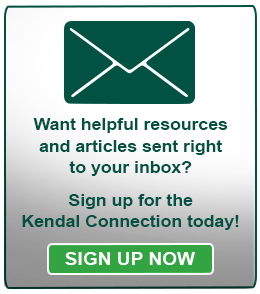 Of 70 or so retirement communities near a university, only about a dozen, including Kendal at Oberlin and Kendal at Hanover, met at least three of his criteria. According to the National Association of Realtors, the number of men and women working after their 65th birthday has increased, setting the stage for elevated baby boomer buying activity in metro areas with a dynamic local economy, adequate housing supply and a lower cost of living. The top markets, listed alphabetically, are: Albuquerque, New Mexico; Boise, Idaho; Denver, Colorado; Fort Myers, Florida; Greenville, South Carolina; Phoenix, Arizona; Raleigh, North Carolina; Sarasota, Florida; and Tucson, Arizona. “The dollar has been at a 12-year high against the euro, which means these destinations now offer truly amazing value,” says Jennifer Stevens, InternationalLiving.com executive editor. Regions of France, Spain, Italy and Portugal have lots to offer older adults. Each has fabulous beaches, idyllic rural retreats, historic cities with stunning architecture and grand museums, plus inexpensive, world-class health care, according to InternationalLiving.com. Costa Rica is also attracting U.S. retirees, according to International Living. "Think warm weather year-round, bargain real estate (foreigners have the same property rights as locals), friendly people, the Pura Vida (life is good) vibe, and low-cost but high-quality health care," writes Jason Holland. Like the baby boomers that popularized it, communal living has also evolved. Co-housing communities, found throughout the country in urban and rural areas, typically feature private residences with common facilities and house, and resident management. Currently there are only a handful of senior co-housing developments, but that number is expected to grow. By 2020, there should be at least one cohousing community in every metro area, or 235 developments, and about one-third are expected to serve older adults specifically, says Charles Durrett, a Nevada City, Calif., architect promoting the concept, in a Wall Street Journal article. “Baby Boomers & Their Homes: On Their Own Terms,” a report released in 2014 by the non-profit think tank The Demand Institute, found that many boomers will opt to remodel their house and stay near family and friends rather than downsize or move to warmer climates. “During the financial crisis, Baby Boomers saw their wealth drop dramatically. While many have been forced to adapt their retirement and housing plans to new financial realities, they haven’t abandoned those plans entirely,” said Louise Keely, President of The Demand Institute.